The Siddharth Kumar Tewary's ambitious project Mahabharat launch on Star Plus is on. The whole member of Mahabharat is currently shooting in Jaipur and they have got to know that one more name has been added to the cast of the show to play an important character. Our source says,Ajay Mishra who will play the role of Sanjay in Mahabharata. He has already started shooting for the show Mahabharat." 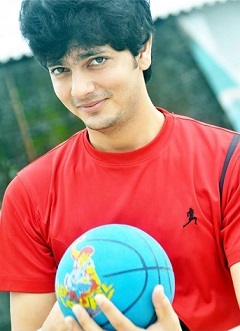 In the show, He is said to be the right hand of Dhritarashtra as he is his adviser.When contacted Ajay, he confirmed the news saying that, "I am playing Sanjay in Mahabharat." Ajay is currently shooting for the show in Jaipur. Watch full details of Ajay Mishra here.